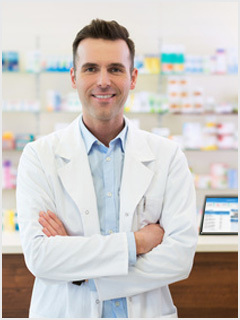 PharmSaver™ saves U.S. pharmacies time and money. We provide a smart, reliable marketplace featuring 14 top-name pharmaceutical wholesalers that compete for your business and deliver the best possible price. Our cloud-based technology uses real-time pricing, real-time inventory and advanced pharmacy analytics to maximize your savings. While you can enter one item at a time, only PharmSaver lets you securely upload a primary wholesaler purchase order and in seconds compares it against current dead net pricing from over a dozen wholesalers using your purchasing rules. In addition to finding the best prices we also identify potential negative reimbursement issues. Don't waste time shopping multiple websites - let PharmSaver do the work for you. Easy to use, powerful and simply the best pharmaceutical ordering service available. All without fees, contracts or commitments. You save actual money up-front. "The Amazon of the pharmacy" saves over 30%! EXCLUSIVE! The PharmSaver User GPO (Group Purchasing Organization) provides best market pricing and NDC uniformity. We negotiate with manufacturers to guarantee competitive market pricing and support customizable purchase rules to maximize your savings. On the order page and in the cart we highlight preferred drugs to make sure you get the best deal - in seconds! As a long-term care, compounding or retail pharmacy you want to work with someone who understands your business. The PharmSaver team brings more than 100 years of experience in the pharmaceuticals industry. Our dedicated staff of pharmacy professionals is available to provide hands-on training and quickly respond to your service requests. Our technology team is dedicated to ensuring a stable, fast and friendly user experience. And all of us are with you every step of the way. Sign-up now and experience PharmSaver. The Fine Print. PharmSaver lets pharmacies, hospitals, clinics and governmental agencies buy prescription drugs at substantial discount. They enjoy easy online shopping while saving money and better managing inventory. PharmSaver verifies all pharmacies and wholesalers are properly licensed to conduct business in their State. This ensures they always get safe, top quality pharmaceuticals at fantastic prices. Remember - it's ABSOLUTELY FREE for pharmacies to use! We're sorry, the page you are looking for does not exist on our site. Click the button below and you'll be returned to our home page.